Geographic Information Systems (GIS) has become one of the hottest areas of interest for students and a highly marketable skill. Often listed as a "recession-proof" job, GIS technicians, analysts and specialists find employment in planning and engineering firms, in state and local government, and in many non-profit and advocacy organizations. Spatial analysis allows us to explore complex data sets and see how many environmental factors can impact a place. Visualization tools that are a part of GIS software allow us to explore data in 3D and across time periods. GIS is the tool to explore our world. 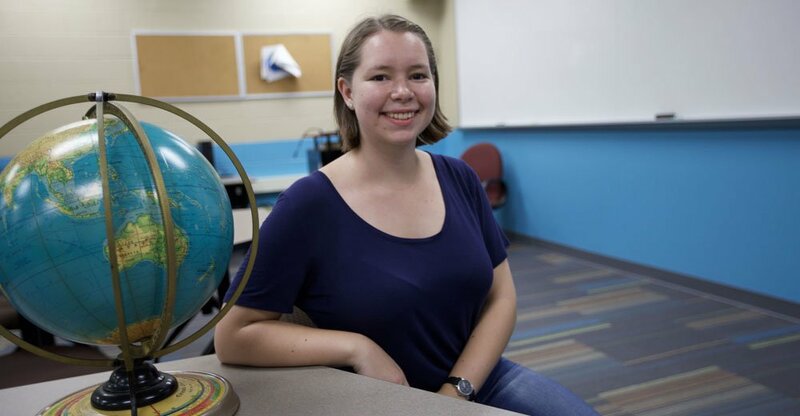 The Bachelor of Science in Geographic Information Science (B.S.GIS) major is a professional degree program that prepares students for a range of careers dealing with geospatial technologies, modeling, and spatial problem solving. Graduates of our program are well-prepared for positions in research laboratories, local, state, and federal agencies, private companies, planning departments, engineering firms, and many others. Our students are also excellently prepared for pursuing advanced graduate degree programs. The B.S. GIS program is provides students with in-depth skills in GIS analysis and programing. The program at Rowan has a special focus on web-based mapping, environmental sustainability and the emerging field of geodesign which coordinates well with our planning offerings. Download the current program guide for the BS GIS here.